Do you dream of indulging in sleeping comfort like a Hollywood star at home? 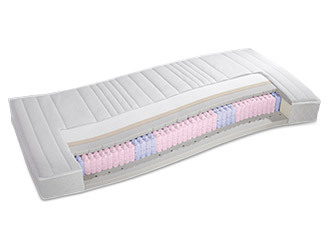 There is a reason almost every luxury hotel in the USA is equipped with box spring beds. 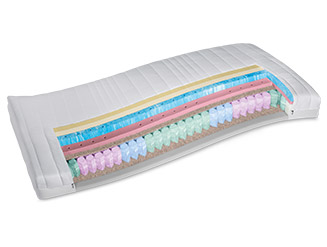 We promise: A RUF box spring mattress will make your dream come true. 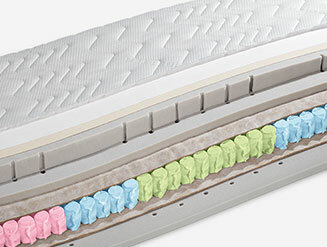 It is perfectly aligned with the individual RUF box spring base, prevented from moving by an ingenious velour Velcro solution, and also offers ultra-comfortable sleeping comfort. 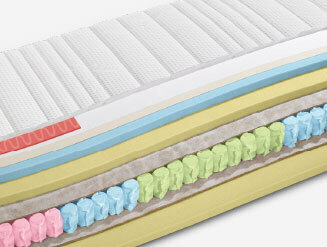 We offer a great range of high-quality box spring mattresses in different comfort and price levels. Every single one of them is based on different core and upholstery materials, because that is the only way to realise the desired and unique resting characteristics. Simply choose in accordance with your personal requirements. 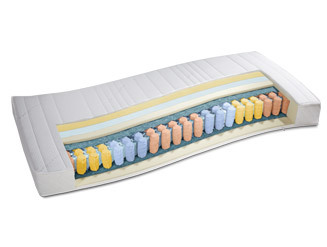 Some models are also available with individual fabric cover of your choice. Each RUF box spring mattress is a signed and sealed tested quality product. 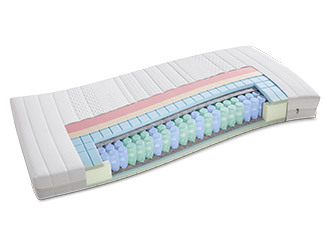 Please remember though: The core of our box spring mattresses should regularly be turned inside the cover. That guarantees many more beautiful and restful nights for you. 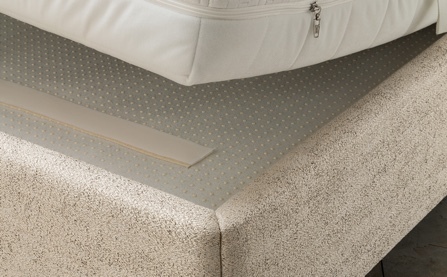 Please note for all RUF box spring beds: Velcro and slip-resistant nubs on the surface of the box spring, as well as adhesive stretch velour on the bottom of the mattress securely keep your mattress in place, even when using the fully-automated adjustment. This also removes the need for irritating mounting brackets. Find a specialist RUF|Betten retailer near you.